I could tell before I went out this morning that I'd have a difficult time, but that didn't actually happen until I was on my last mile. It's been a busy weekend and I (once again) got outside before our guests awoke. The temperature was 54° around 7:00 AM and I wanted to wear a long sleeved running shirt. Unfortunately, all my running gear was in a cabinet behind the guest room door. 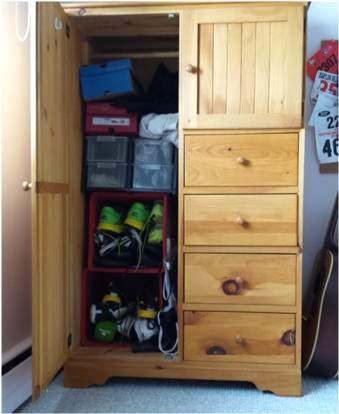 Prior to the arrival of our visitors, I'd taken two sets of running clothes from the cabinet. With the relatively warm weather, I didn't anticipate the need for warmer choices. I have many long sleeve race event shirts in my bedroom, but even with a temperature in the 50's and 72% humidity, I didn't want to wear cotton. I decided to tough it out and go with short sleeves and shorts. Stepping outside, I was reminded of the feeling I get the morning of a fall race. The temperature felt chilly, the way it often does when we line up for the start, under-layered to help manage the increasing heat later in the race. I was tempted to push hard to build some heat, but I wasn't feeling energetic enough to do that. Last night's high carb dinner failed to translate into a hoped-for glycogen payoff. It didn't take long to get used to the cool air and I ran comfortably through the neighborhood until about the 2.5 mile mark. At that point I encountered a woman who was running north slightly ahead of my direction and I tried to stay on pace with her. After a few minutes I realized that she had an eight cylinder engine working at max capacity and I was a steam engine that was almost out of steam. 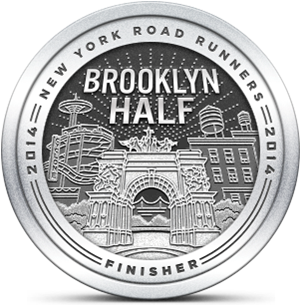 I managed to recover enough to resume my pace, but I was ready to return home short of my originally targeted distance. In a way, I lucked out by running with lighter clothing than I thought I'd need. The persistent chill likely energized me through this run. I'm getting a little tired of under performing on my runs. I realize that I have to put some hard work into my training to get to prior performance levels. I can't face intervals, fartleks and hard tempos these days. I'm hoping that the increasingly cooler weather will motivate me to do those things. Oh, it's bound to! Don't you just LOVE running in the fall?! I would love 3/4 of the year to be fall. Something about the combination of sights, sounds and smells on a fall morning run. Most of my best races have happened in September, October and November. That's funny - I always think that when people pass me, it's because they are just starting out while I've been slogging on. I do love running in other seasons, early spring and except for ridiculously freezing conditions, even winter. Oh, she also had headphones on. Obvious advantage. Yes, that's not fair. You're probably much faster than her.